Following a hugely successful, critically acclaimed season at the Edinburgh Festival Fringe 2014 the Reduced Shakespeare Company will set out to reduce the UK to tears of laughter in Spring 2015. Yes that’s right, the bad boys of abridgementwill finally tackle the subject they were born to reduce. From the high-brow to the low, The Complete History of Comedy (abridged) covers comedy through the ages, from Aristophanes and Shakespeare to Vaudeville and Charlie Chaplin. The Complete History of Comedy (abridged)is far more affordable than tickets to an amusement park, but you’ll still come away with the same feeling of nausea and motion sickness. From cavemen telling “Rock Rock” jokes to Chris Rock and everything in-between, the Company leave no joke untold as they deconstruct the entire history of comedy in 90 rollicking minutes. 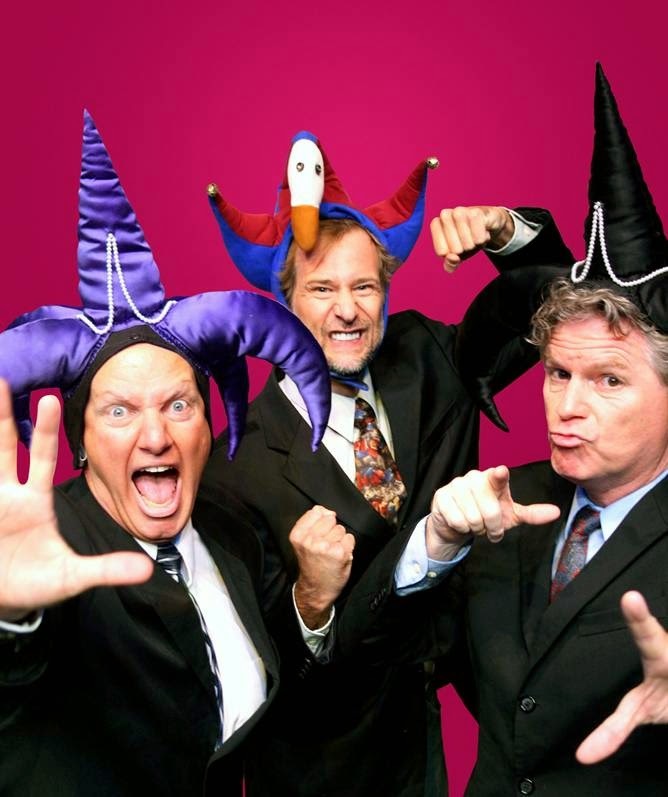 The Reduced Shakespeare Companyis a three-man comedy troupe that takes long, serious subjects and reduces them to short, sharp comedies. Since 1981, ‘The Bad Boys of Abridgement’ have created nine stage shows, two television specials, several failed TV pilots and numerous radio pieces – all of which have been performed, seen, heard and translated into Klingon the world over. The company were last seen on a four month t+our of the UKand Irelandwith The Bible: The Complete Word of God (abridged) at the start of 2014. Before that a whirlwind eight month tour of The Complete Works of William Shakespeare (abridged) played to packed houses throughout the UKand London’s West End throughout 2013. Prior to this the “other RSC” were wowing the UK with their highly successful Complete World of Sports (abridged), which toured the country before completing a season in London’s West End during the 2012 Olympics. WARNING! Side-effects may include uncontrollable milking and painful running gags.